If Gears of War 3 is in fact going to hit shelves April 2011, that's one volley that isn't going unanswered by Sony: Gears 3 may be met head-to-head by the next Killzone. Earlier today, we learned that Epic may be working to prepare Gears of War 3 for a launch in April 2011. 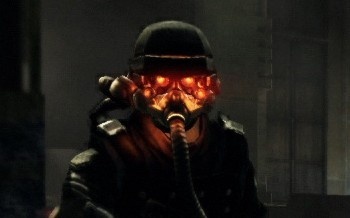 Now, another rumor has hit the internet courtesy of our colleagues at 1UP, claiming that Sony's next AAA FPS Killzone 2 will also see a release next April. If true, this would make for a very interesting April '11: Gears is arguably second only to Halo in terms of Xbox 360 exclusive franchises, whereas Killzone 2 was heralded as one of the landmark PS3 titles when it launched in early February (before everyone promptly forgot about it a month later). And while Killzone 3 wouldn't have the prominence of, say, today's God of War III, it would be quite the spectacle to see how Microsoft and Sony sniped at each others' AAA releases. The hypothetical reasoning for an April Gears 3 launch (as we've heard) is that Microsoft wouldn't want to step on the toes of Natal and Halo: Reach - but would Sony delay Killzone 3 to miss the holiday season?